The CFPA Student Council is planning a spring event for ALL CFPA students. They are planning a CFPA Olympics event! This event will take place Saturday, May 18, 2019. 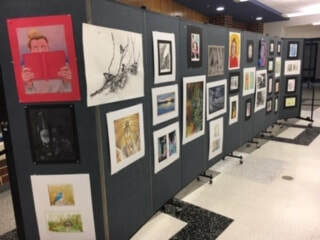 The CFPA Visula Arts Program will be hosting an Art Gallery Gala. This event is scheduled to take place on Friday, May 17, 2019. 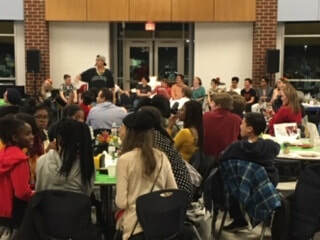 The 2nd Annual CFPA Student Council Banquet was held, Monday, March 4, 2019. 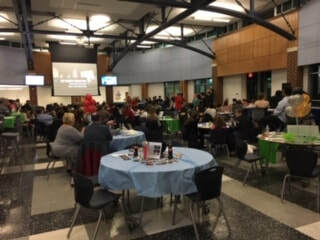 ​This was a great night for all CFPA students and families to come together and share dinner, student entertainment and celebrate our CFPA Seniors! Thank you to CFPA Student Council, Ms. Blair, Ms. Robertson, Mr. Ordway, Mr. Watts, Mr. Sanders, Rebecca Shields, The Colgan Administration and Staff, and ALL the Parent/Guardian Volunteers for donations and serving! The CFPA Lock - In Event is Cancelled. We were unable to schedule a new date due to the school activities and events calendar being booked. We look forward to providing this event next year! Thank you to all who offered to volunteer and/or provide donations. We look forward to your assistance new year! 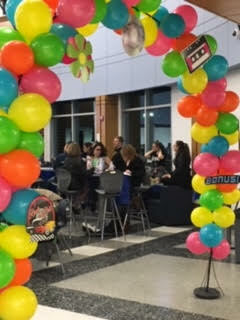 On behalf of the Colgan High School (CHS) Center for Fine and Performing Arts (CFPA) Booster Officers, Coordinators and Members, we want to Thank all of the new families, current families, Colgan Administration, Teachers and Staff, students and volunteers for making the First Annual CFPA Picnic a huge success! We appreciate your time, donations and collaboration! We hope everyone enjoyed themselves!